The C156 Southard Folder was introduced in late 2012 and is Spyderco's first flipper as well as their first knife offered in CTS-204P. 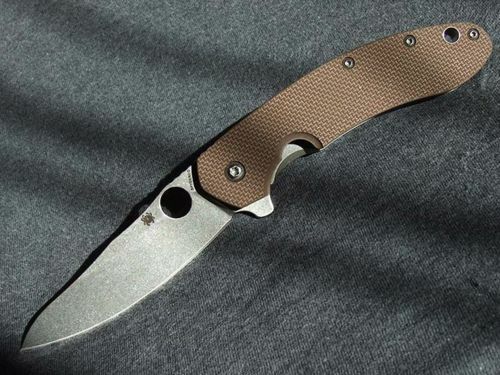 "Brad Southard is an amazingly talented custom knifemaker who specializes in high-performance folder designs. His first collaboration with Spyderco features a “flipper”—a novel blade-opening device that was pioneered by custom knifemaker Kit Carson. A flipper consists of a small lever that extends from the base of the Southard’s CTS 204P hollow-ground blade and protrudes from the back of the knife’s handle when closed. Pulling on it with your index finger creates a tension against the detent mechanism that holds the blade closed. When the detent is overcome, the blade rotates on a special captive ball-bearing pivot system and snaps authoritatively into the open position. Offering an amazing synthesis of ergonomics, functionality, and state-of-the-art materials, the Southard is one of the most advanced Spyderco folders ever produced." 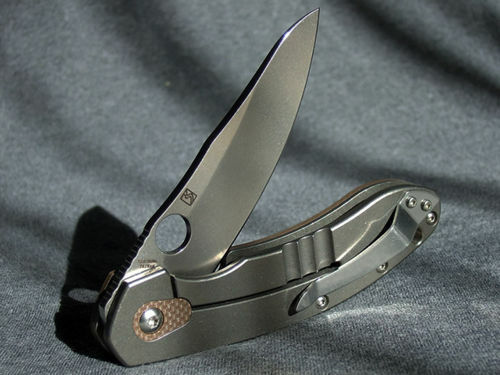 The C156 Southard Folder in Spyderco's online catalog. This page was last modified on 13 October 2017, at 04:23.